There is a planned routine of work and activities at Lothlorien between Monday and Friday and everyone is expected to join in. After breakfast everyone participates in household chores. At 9.45 am the daily community meeting is held. The main work periods are 10.30 to 12.30 and 2.00 - 4.00. There are a wide variety of jobs to be done both indoors and out. We have seen that people with mental health problems benefit enormously from participation in the ordinary tasks of daily life at Lothlorien. The structured work programme is pitched at a level which takes into account the difficulties that many people have in sustaining long periods of work, either because of their medication or due to the mental health issues with which they are dealing. However, living as part of a therapeutic community encourages and motivates everyone to participate in the essential daily tasks that ensure that the community functions well. The nature of the work carried out in the community can have a very positive influence on mental wellbeing by having a grounding and healing effect. 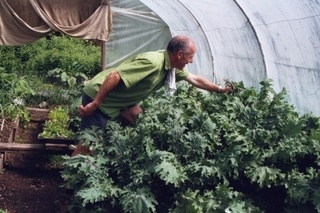 People can learn to restore a sense of balance to their lives by having a direct, conscious involvement with the ordinary activities of daily community life, such as working in the garden, growing vegetables, cooking, chopping wood for the woodburning stoves and looking after the house and the environment. Lunch is at 12.30 and the main meal of the day at 5.30 pm. Everyone takes a turn at cooking. 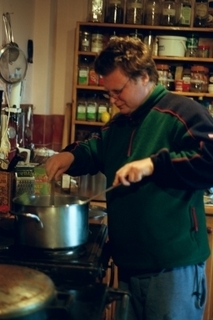 For those who are less skilled in this area or who may find it difficult to cook for large numbers, assistance and advice are always readily available from others. The food is mostly vegetarian with much of it being grown in the vegetable garden. However meat-eaters are catered for, usually by having some meat dishes over the weekend. The evenings and weekends are unstructured and a time to relax with other community members or take some time on your own. At weekends some people go away to visit friends or family, others enjoy relaxing around the house or going for walks. Although we are in an isolated spot, the community members regularly organise outings, and there are opportunities to get into town regularly.